Football as we know it has changed! 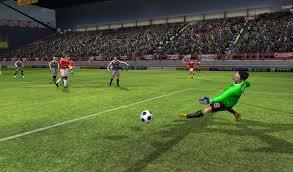 Dream League Soccer is an opportunity to build YOUR best team on the planet. Recruiting new players, upgrade your stadium, and training your team when you march towards glory, the road to Soccer Super Stardom! You'll go to EDIT KIT interface as shown below, it allows you to customize the shirt is worn by color, adjust the number, govern, color shoes ... As in the figure below, the jersey has been imported, ie replacement materials shirt of a club which is available under the link we will provide below. Select delete imported kit to add a new shirt. A new panel appears and asks you to enter the link of the jersey.